Writer and performer Mel Giedroyc is best known as being one half of the hugely successful double-act, Mel and Sue. 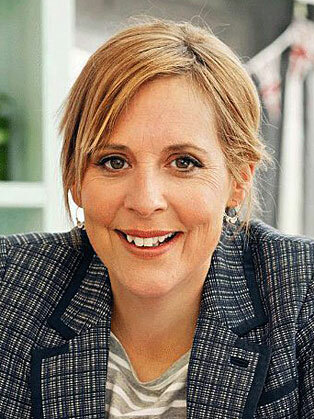 Mel Giedroyc is an English presenter, actress and comedienne, best known for her comedy work with Sue Perkins, co-hosting series including Light Lunch for Channel 4 and The Great British Bake Off. Writer and performer Mel Giedroyc started her career as half of the hugely successful double-act, Mel and Sue. Shortlisted for the Best Newcomers Award at the Edinburgh Festival, Mel and Sue went on to write material for French and Saunders before hosting their own show, Light Lunch, which later became Late Lunch. When the duo separated to work on individual projects, Mel worked on a range of programmes including co-presenting a daytime chat show and starring in a BBC sitcom. Mel also appeared in three series of the twice BAFTA-nominated cult sketch show ‘Sorry I've Got No Head’ as well as the West End musical ‘Eurobeat’. More recently, Mel has appeared in the popular teen drama, Sadie J. Both Mel and Sue have appeared on the award-winning radio show, Count Arthur Strong’s Radio Show. Mel also presents The $ O’Clock Show daily on Radio 4 Extra and is branching out into writing for theatre.